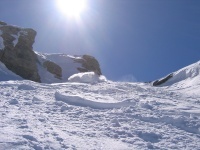 Ski & Snowboard - fantastic, exciting,unique excursions. Grand Massif, Samoens, Morillon, Sixt. 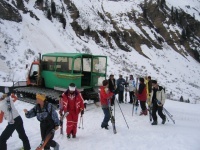 Unique Tours of special locations in The Grand Massif. If you fancy a day's experience on little more than an empty piste....... of particular interest, in the right conditions, is the descent down to Sixt from the Grand Platieres in Flaine via the Cascades ski run (1,700 meters descent over 14 kilometers). 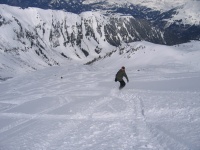 This is a challenging red/blue piste passing the famous Lac de Gers mountain hamlet where you can break the journey up with a fantastic lunch stop, sampling the exceptional traditional food, as recommended by the top ski and snowboard guides. A must for ski and board enthusiasts, not to be missed. Not always open, this depends again on conditions. A rarely accessed spot with infinite possibilities but only one lift out! At the Lac de Gers a snow cat will take you back to the lift if your adventure takes you beyond the lift station, or you can keep going back to Sixt, ending up right back at the Chalet door! 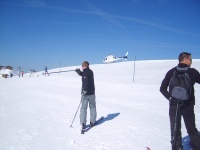 A helicopter can also be arranged to pick you up at the lake, taking you on a fly-past of Mont Blanc then dropping you back at the top of Flaine. The helicopter is only available by special request at an additional cost and would need to be pre booked during your stay. 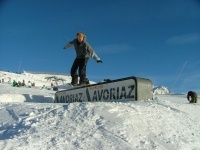 If freestyle is your thing, a day trip to neighbouring Avoriaz might be fun, where you can ride a world famous half-pipe, tweaking your freestyle techniques, then sample the apres-ski of Morzine before returning home for a spot of supper. This must be pre-booked and there are small additional costs. The trip leaves the chalet early and returns in the evening. Take a host/guide with you or explore on your own.